One professional video convertor to rule! Once in a while I see a comment on a forum of whether somone should buy ‘another’ program or preset pack and I often have a quiet chuckle. Its as if we in the Nebula world have had a big meal and are well and truly stuffed. ‘Okay no more! There’s no more room in my belly. I have had enough. I don’t need anymore’. Until the next hunger pangs kick in and the next release comes along LOL. Can you ever build a studio with too many hardware options? A little personal story if I may. Not directed at just a rambling on my obervations. When I arrived in the UK and started my life from scratch I almost cried at the expense of owning tools to allow me to pursue my musical dreams. I almost thought someone had played a joke on me. Back in the day about 2003 I discovered the usual large retailers who sold the usual mass appeal mid priced stuff sold be college graduates. Etcetera, The now defunct Turnkey on Tottenham road, DV247 and so on. But then I realised that in spite of having an M-box, Protools and the Sony Oxford bundle, there was something missing. I had a Rode NTK microphone which was a nice valve mic but was limited in options. I needed a high quality low cut switch and a preamp that gave me some eq options. I did a bit of research and ended up getting the GML 2032 from HHB. I had heard of and read of George Massenburg on various forums and was in awe of his Discography. His music was music I had grown up with. So off I went and got that piece only to discover that it actually would be nice to crank up the input and get a nice warm fuzzy sound once in a while. Well GML won’t give that to you if that’s what you want. So eventually got another one for stereo work but still had the rock sound in my head that was fat, distorted and distinct. I knew I needed more options. 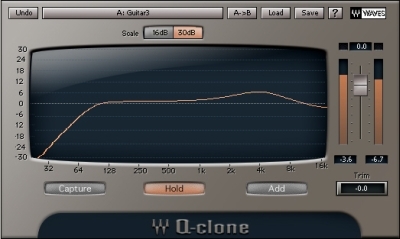 So I got q-clone and it helped with a few options but where was the warmth and distortion. Antares came out with a plugin modelling tubes. Aaah that’s a bit better. But wouldn’t real tubes be even better? Off to a shop called KMR after a lengthy research. Wow what a catalogue. Now we are talking, re-issues of stuff the Beatles recorded on, The Who, The Rolling Stones, all the 80s musicians I had listened to. That sound was now in one place under one roof. So many options, but so out of luck, why? Well none of that stuff was cheap. Forget middle of the road kid, this is the high end. Welcome to the kind of shop that can wreck marriages and cause you to sell your children’s future. You could easily spend 100k in that place and come away with 5 pieces. I could never save nearly enough in a lifetime to own ‘those sounds’ nor could I justify it. But a little community begun brewing. People like me, frustrated by the high price point if entry into ‘those sounds’, the high cost of plugins that didn’t quite do what the hardware did and a lack of CPU. But a revolution begun with the lab techs at Intel leading the way. Suddenly Giancarlo and company’s skills could be matched by the CPU grunt of a workstation and the third party devs begun to flourish. I discovered a simple website run by a very nice, courteous and refreshingly knowledgable American called Michael Angel. He always replied my e-mails and gave very good explanations for any enquiries I made. I bought all the stuff he produced in a heartbeat. He and the Nebula family understood what we all now know. It actually is possible to get ‘ that sound’ and deliver it over files on the internet and into a computer. It had happened to the CD and now it happened to ‘sounds’. No postage, no waiting, no cash tills. Instant on-demand, virtual cheap studio sounds. But many still don’t appreciate how HUGE this is. Like, dude you can own the sound of a $10 000 eq in your computer for like 1/ 300th of the price. I stopped crying then about not being able to get ‘that sound’ anymore. I embraced the revolution for what is was. Absolutely Mega! This game has changed. So when I go to the GS forum and see another member ask in the high end forum – Help me spend 75 k on my studio, what to get? First I chuckle and then I think to myself either you were born with a silver spoon in your mouth, you are blind to the revolution ( and find fault with the website, the GUI, the documention, the CPU hog etc ) or you simply need to visit another forum errrrrrrr . . . . the Acustica audio one. I’m laughing all the way to the bank thanks to the community coz I have saved so much and can get comparable results to the big guys – well sorta – just my own skills the dividing factor. So big thanks to guys like Michael, Alex. AITB. Wisecup and the rest. All of this to say. The revolution only works if you support the guys who started it. I know it may sound odd coming from a developer but I am not saying this for me. I am a late comer. We should honour these guys who had the vision to start it off by buying their products because some of them went into this fulltime. Don’t buy it cause it’s just another tool that you may need. Buy it because it has enabled us all to smile when we push a slider and know that this is our little secret despised by the unitiated. Haters be gone. Buy it because it sounds incredible. Buy it to keep the revolution going forward. Viva democracy in Pro Audio. Being spoilt for choice is a tremendous privilige we must never take for granted because this rev is a double edged sword. It can be tarnished as easily as someone placing a free file of anything on the internet. I get requests once in a while about which hardware was sampled in my online shop. For those wishing to get their heads around what I sampled for Acustica Audio’s Nebula download the PDF list below check it out. The console strip for nebula is now available along with a plethora of other new products. I have been working very hard to bring great Nebula programs and presets and all my presets reside here in my new webstore. I am also a member of the official Acustica forum and can be found here on this thread. Just in case you may have missed my movements in the last few weeks, I have just launched a new website to sell my book and another for my nebula presets. Right guys – this one is pretty special IMHO. That’s all I am going to say really. Smooth tubes – gorgeous mid range. Sampled at high resolution – Provided at 96 khz – enjoy and if you like it let me know. Why all the free stuff one might ask – what’s the catch you may think. Simply put – my Father is very generous and has taught me to be the same. I am patron of a charity that I support in Zimbabwe. I have been accepted as a third party provider for Acustica and my soon to be released commercial libraries will help support the charity. It also allows me to practice the art of sampling which has a learning curve. Watch this space. More freebies coming as usual. Been busy again and added a few free Q-clone presets for your professional use all for FREEEEEEEE!!!!! These are mainly good for adding presence in the high end to tracks. Some do subtle things like add ‘zip’ or ‘fizz’ as I call it while some tighten things a little. Most are easy to hear so experiment with diferent sources. These are really aimed at full mixes as if you add too many in your mix it can get a little too hard – if you have dull stuff then go for it!!!! Also Check out my free Nebula Distortion presets that add that analog glow to tracks to help get rid of ‘digititus’. Into the new year with a free new Valve distortion preset. This is the sampling of a compressor that sits on my two buss some of the time. Sampled at 24 bit 96 khz through Prismsound Orpheus, it is a faithful representation of the compressor’s sound IMHO. 10 Kernels so you better have a beefy CPU!!!!! I have not sampled it as a compressor but as a pre. Not the most revered of Comps (T__eL) but gives your digital mixes a nice analog warmth. I replaced the ageing valves with valves from Watford valves. These were deep cryogenically treated and sound awesome on individual tracks and even full mixes for mastering (for adding a nice warm glow). Sampled for use at 0 dbfs – within reason of course. The valves sampled were Phillips Jan 12AX7WA. Nice enhancing to the mid range – slightly forward, it has excellent dynamics and nice oozing lows.A word on the high end. It gives a nice valve sheen but be careful on already bright stuff as it may get frizzy quick. Perfect for dull stuff needing a bit of a lift. 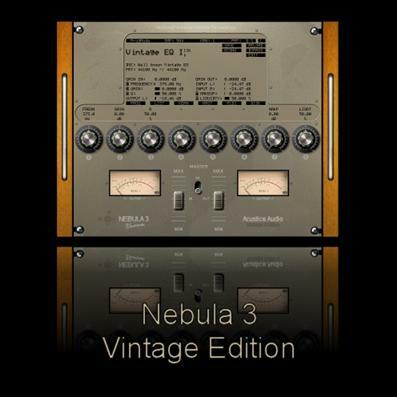 Having said that do enjoy this Nebula recreation to help you attain true analog ITB sound. Depending on your source I am convinced that one instance of valve distortion followed by my Power distortion plugin will make you smile. I was selling this in my shop but took it down because I am moving to a new shop soon. You can have it for free as a welcome to 2012 gift. Do give me some feedback. For even more control over the colour of your mixes and for quick mixing – consider combining my free Nebula distortion presets with the wonderful curves of Q-clone – I have some libraries that will give you instant mix options with lower CPU usage than just using Nebula exclusively. Realtime mixing experiences of a Nebula lover ….. This is a small diary of someone who loves using Nebula but hates that it is a CPU hog. One of the most frustrating experiences with mixing in Nebula is trying to get a real time workflow. My setup comprises a powerful server and workstation. Both identical beasts from 2007 but not prepared to upgrade just for the sake of a plugin. They are choking with full resolution mixing. The question I ask is this. What value is there to turning down the kernels in Nebula’s master page? The setting is normally at 10 and there is the option to turn that down to clean. Both machines would be set this way prior to mixing. The theory would be that I would be able to then get higher instances with much lower cpu usage. At render time I would then turn kernels up all the way to max. The idea comes about because in Sony Vegas for video – what most folks do edit in a lower resolution but render with full quality settings. Mixing or editing anything at full quality in realtime is always a strain for most programs of this kind – audio and video – especially if heavy compute-intensive plugins are employed. I understand that mixing is intuitive and that you mix into what you get out of the monitors but the sound with the clean kernels vs the distortion version should quite similar right? Won’t we be just missing a little bit of distortion here and there due to the harmonics? Perhaps not enough to drastically shift the mix? That is what I propose. This plugin is too good not to use but it modifies my workflow too much to simply enjoy it. By that I mean bouncing tracks all the time to just get the project to keep playing. For me, the last hurdle I have to traverse is getting nebula to play as nice as my other VST plugins without constantly dragging my system to its knees. Edit – Friday session. With an Alexb console with all kernels enabled on my server one of my eights cores has 35 % usage( Alex’s libraries usually are very high quality sampled at 96 khz.) And I was using FX-teleport by the way. Now by going clean – my one core uses only 14 % . Blimey, but if I may say so myself, that is quite a power saving. Now if it translates to smooth editing then then it may be worth it to avoid the usual start stop nature of Nebula rendering. Again the idea is to edit this way and then the Kernels to full for final render. Testing continues. Edit – Saturday. Been working on a mix today that I have had in mind to do for a few months. Not really complex at all – Piano, drums, bass, Vocals and a few instruments. And so far so goo. For the first time in my life I can mix in realtime in Sonar X1 using Nebula without having to bounce. More in depth details coming soon. Anyway – for those who are really curious – this is my current computer setup. I need to mention that all of my work is at 96 khz by the way so I am really pushing the limits of my studio. I have two self built tower 3 Ghz intel Xeon workstations running on TYAN motherboards. These are very stable and made for servers and have server memory with error correction as well. These take Dual CPUs(Cloverton CPU) so this gives me 16 cores in total with server. The total power of two computers networked together this way is actually comparable to the top of the line very expensive Dual CPU Intel Xeon server today if one can access all the power available. That is the challenge. The server linked together give similar power to servers costing many thousands. I built my server for £ 800. An i7 based computer makes this a clever way to go. Better to have two or three cheap computers networked than one behemoth that costs an arm and a leg wisdom suggests. Installed as well are 4 TC Electronic powercore cards – Two powercore express cards and two PCI-X. This produces a very, very stable setup. I own and still posses the fire wire but it was a waste of time for me. Badly written drivers and too many blue screens of death. I think that with Vienna ensemble pro with all its delay compensation then these DSP solutions may become very useful again. Edit – Saturday afternoon and I am finally finished going through various settings of optimizing the system. I had to go back to basics and check my Nebula xmls to make sure all was well.. 😀 . Hallelujah!!!!! So far so good!!!! I think this may be the way to go for me. I can finally do this thing without bouncing. It means I can get a little more than double the instances with this setup on the server. I am mixing with other cpu hungry plugins as well which helps with the core balancing such as Q-clone, VSL Panner, Valhalla stuff, Waves, Lexicon and many powercore plugins. The TC Electronic powercore stuff is invaluable as the quality is excellent with very little cpu strain. I know that they are not being developed for anymore but they are incredible value for mixing now in a hybrid way even though everything is moving towards native CPU processing. Ebay sees some cards going for like just over a hundred bucks now and some have nice plugin licenses too boot. I saw one go unsold for 80 bucks recently. Too bad I have all my slots filled up. This does actually allow me to balance my mixes without relying too heavily on Nebula for everything which is an important consideration. It also allows more cpu to be allocated to Nebula if you get my drift as less is being used on other non essential things. For example the filters of the Sonnox eq are on lots of stuff and the reverbs are high quality too. Assuming this works, why hasn’t someone thought of this before? After all this it may be that the Econo mode on the front page is the same as what I am doing. Not sure what it is for to be honest. Edit – Saturday evening . Using the server version of Nebula. Problems. We have lots of intermittent dropouts piling up once I add more than five Server plugs. Not a deal breaker so far as I still have plenty of power on the main machine but this is not ideal. Decided that I will use the server machine for all buss work. Seems to hit my local CPU the most if I put one one the master out for example.. I am of course working at 24 bit 96 khz with the server running at 20% CPU and the main machine running at 54 % beautifully balanced on the cores. In Soanr by the way and yes it also has the CPU core bug thing going on. It has had it for as long as I can remember. Task manager says that the cores are beautifully balanced but Sonar X1 insists that one core is working harder than the rest. And yes you bet – if that core gets close to max – forget having access to the rest of your ubher expensive CPU power. The system splutters, spits and grinds to a halt eventually. I still cannot believe they haven’t sorted this out after so many years. On a few non-nebula projects this issue is none existent but once I use Nebula – forget it. 4 Nebulas are on the server – doing all the buss work – as stated before – five is a no go. Tape booster, R2R and some drums presets.20 % Total CPU used. 4 Powercore cards that are almost fully loaded. Out of 4 cards 1 is free. 7 Nebulas Non-reverb on main machine doing eq and console duties. So not a lot going on but I had previously bounced down most of the instruments via Nebula already. 29 Channels in total and managed to even run in realtime as a trial. I certainly haven’t reached the limits yet but it seems I may not be not be far off and I am annoyed that although I have more power available I cannot access it. I am sure mixing at full res would have been tricky all the same. As an overall observation, it was so much more responsive with the kernel master setting on clean. So what was the difference if any? Well with all the kernels initiated the whole song just gelled a whole lot more and was obviously warmer and deeper. My Mix decisions were intact however and I would not hesitate to mix this way. Will try Monday with Reaper and FX teleport which uses up more of my server cpu without the core issue. One of the first benefits of Reaper is that it allows the parameters of the remote FX of FX teleport to be adjusted locally. Yes it is just sliders but this is atounding. I never knew this was possible. Justin – you are a true programmer. This is such a useful feature as it means that once you have loaded a plugin you can control it locally with your local mouse. Monday evening update. Finally migrated my project across to Reaper and guess what – it is soooooooooo much better with Nebula. 24 tracks going here at 96 Khz. I am using it with FX teleport and my server has 13 Nebulas loaded. 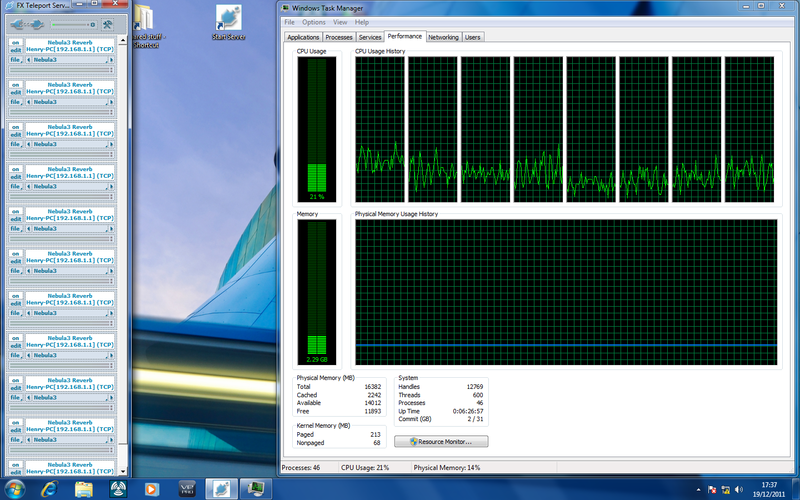 Total CPU is twenty percent and the cores are balanced beautifully. Powercores have 9 DSP chips free. Local CPU is 30 % and there is not a glitch. In theory I could run 60 instances of Nebula with my server alone in clean mode. WOW. Practice may prove a little less but WOW, WOW, WOW!!!!!!! Here is a screen shot of my server while using reaper. The Local screen shot is similar but at 30%. ZERO GLITCHES!!!! Goodbye Sonar. Never again when it comes to final mixing. Smooth editing and boy is Reaper snappy. Okay I am done testing now. Conclusions. If you have to have realtime performance with Nebula while editing, then these are my suggestions. Don’t try and mix at full resolution in realtime unless you have a super computer with SSDs, the fastest CPU available and oodles of RAM. Try using Reaper – the snappy editing and the core balancing with glitch free playback makes other daws seem rubbish. 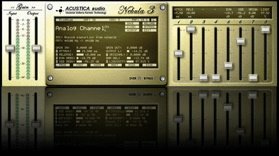 To increase the available DSP power for nebula us FX teleport, reamote, VSL Ensemble pro or the server version from Acustica. Add one instance of the server plugin and set it to Clean only in the master page ( Kernels ). Do the same for any local plugins. Restart project. You can find your own middle ground for this. Some may get away with mixing with three kernels for example.YMMV based on how powerful your computer is. Mix in Realtime to your hearts content. Trust me – you probably won’t run out of power any time soon if your server is as powerful as your main computer. Once finished mixing, Set one instance of the server plugin and any local plugins to Full Resolution in the master page of all your Nebula versions – Kernels setting is 10 ( 9th harmonic ) when at full res. Restart the project and render. Figure out if you are happy – bear in mind that the render with harmonics will sound somewhat smoother, fuller and more 3D depending on your emulations etc so when making mix buss plugin decisions bear that in mind. By the way I have been hesitating to make this move to Reaper myself. Having used Sonar since 1999 I have become somewhat used to using it for most audio editing but the workflow changes they put into Sonar X1 meant I was almost learning a new DAW. So I have just concluded I may as well learn Reaper. Had a licensed copy for a few years and upgraded every time but never had the incentive for the big move. Now that I have seen the power – there is no going back. For mixing I mean. Sonar is still easier for me when it comes to editing midi. Can I just say that this is about the best plugin I have ever used period. It is amazing. Today I was pretty frustrated with a mix that I am working on for my next album. So I decided to pull out the old trusty Xlutop chainer and chain a few Nebula effects together. Had another go with using the consoles and now I can say I GET what it is all about. You need to chain these suckers together. So – I updated to the latest version of nebula and also got Alexb’s 4K compressor recently. What I did was set up a chain in Xlutop chainer. For those who don’t know it is a piece of software that let’s you well – chain a series of FX together. It has horrible latency as it does not report plugin latency to the daw. Anyway – here is what I did. After bouncing down the track and adjusting for latency I am blown away. Get a chainer plugin and it all comes together from a workflow point of view. It is one track at a time and you do need to commit but boy does it sound like I have an SSL anmd Real tape in my home studio. The great thing with chainer is that you can set up your default chain and adjust per track. Thumbs up from me now…. Now here is the roll call of the top nebula third party producers that take your nebula universe to the next level.